When working with The Attias Group, you and your family’s needs are taken into detailed consideration. Whether you are looking to buy a four-story house or a one-bedroom condo, you can expect nothing but pure commitment to finding you the perfect place to call home. We employ the best and hardest working real estate agents Concord has to offer. In fact, we proudly serve the entire Massachusetts real estate market. Our founder is also one of the Massachusetts’ highest producing real estate agents. We understand the area market, and we know how to make it work for our clients. For a personal and accommodating experience with the most professional real estate agents Concord can provide, work with us. We offer personalized, customer-oriented service and yield superior client satisfaction. 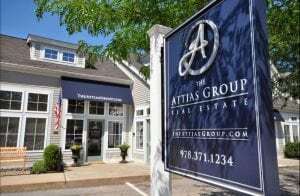 The agents at The Attias Group have worked long and hard to establish our excellent reputation with the public and within the Concord real estate community. This hard work and determination has resulted in a certain amount of prestige that we do not take for granted. This means that we have become a team of the most respected real estate agents Concord has the pleasure of calling their own. We have honed and maintained skills, business relationships and valuable insights in order to guide you through a successful buying or selling journey. Our commitment to personal and ethical service ensures you will find the property of your dreams. No matter how experienced you are as a homebuyer, we truly understand that you are not just buying house; you are buying a sanctuary for you and your loved ones. We are determined to help you find your perfect home and introduce you to the great New England lifestyle. The future can be uncertain, but you can have peace of mind in taking that journey when you have place to call home at the budget you are comfortable with. Contact us to speak with an agent today!